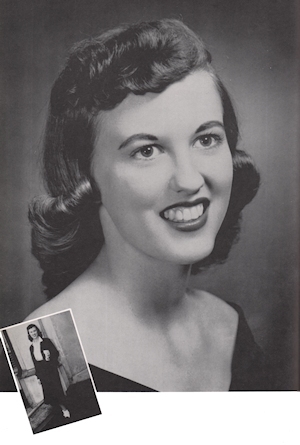 Obituary – Gragert, Judith Ann (Dowell) « Perry High School Alumni Association, Inc.
﻿Homeroom President 55-56; Band Queen Business Manager 55-56; Wrestling Queen Attendant 56-57; All School Revue 56-57; F.T.A. 56-57; Class Treasurer 56-57; Senior Play 57-58; Student Council Secretary 57-58: F.T.A. Secretary 57-58; Junior Rotarian 57-58; Band Queen 57-58; Annual Staff 57-58; Band Secretary 57-58; Assemblies 55-58. Judith Ann Gragert (Judy) went to her heavenly home on December 3rd, 2008 to be with her Lord & Savior. She was born to Lloyd & Eva Dowell on October 23rd, 1940 in Seminole, Oklahoma. She married her high school sweetheart Bill R. Gragert on April 23rd 1958 in Perry, Oklahoma and they spent 50 wonderful years together. She was a devoted loving wife and a proud mother. Judy continually lived her life in the service of others; she was respected and admired by all who knew her. She was a teacher for the Choctaw-Nicoma Park School System for over 31 years. She taught for 25 years in the same 5th grade classroom and spent the last 6 years teaching in the gifted and talented program known as SEARCH. In regard to teaching, Judy is quoted as saying “teaching is impossible to describe. It is wonderful, frustrating, exhilarating, and exhausting… a JOY! I love the eager, enthusiastic look on a child’s face as learning takes place.” Judy was truly an outstanding teacher. She was intelligent, always knew her subject matter, and had the ability to let each child know that he/she was special. She touched her students hearts, gave them confidence and taught them well. She was loved by all who had contact with her and had the ability to make people confident and happy by just being in her presence. Judy loved her life, especially all things surrounding her family and her career. She was preceded in death by her parents & is survived by her husband Bill Gragert, her daughter Ronda King & husband Jimmy, her son Doug Gragert & wife Darla all of Choctaw/Nicoma Park; grandchildren(5), Jill Miller, Joey Miller and wife Sanza, Bradley Gragert, Sean Gragert, & Joshua Gragert; great-grandchildren(4), Steele, Isabella, Daezi & Joslyn. Judy is also survived by her sister and brother-in-law, Bill & Kathryn Benedict of Fresno, CA. She will be missed more than words can express. Burial Elmwood Cemetery, Choctaw, Oklahoma.